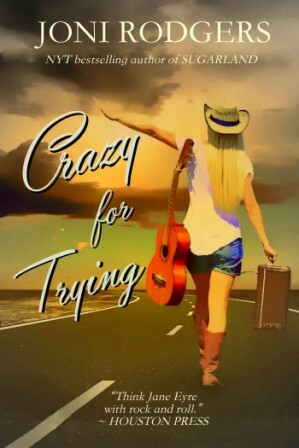 Of course, the song that had the greatest influence on Crazy for Trying is the song that gifted the book with the perfect title: Willie Nelson’s Crazy recorded by Patsy Cline in 1961 and by many others since then. Nelson (who was just a journeyman songwriter back then) actually wrote the song for Billie Walker, who rejected it because it seemed like ‘a girl’s song’, which means, I suppose, that it’s gentle and vulnerable, filled with longing and a willingness to love with no hope of being loved in return. But I see those qualities as strengths, not weaknesses, and I wanted Tulsa’s story to deliver exactly the same vibe we get from Patsy Cline’s powerhouse rendition. Crazy features several times in the book, informing and giving voice to both main characters. The earliest version of the manuscript took shape while I was living with my husband on a fire tower on Weaver Bally, a 9,000 foot peak in the Trinity Alps wilderness area in Northern California. I originally thought I was writing a stage play with music, so I sat out on the catwalk with my feet up on the rail, my guitar on my lap and a yellow legal pad between my knees. I had the plot in mind, knew the characters, and had a list of songs, which I thought would be apt and entertaining in the show. Among these were Pink Moon by Nick Drake, Somebody to Love by Jefferson Airplane and Spoon River, done here by Michael Peter Smith. (I love Claudia Schmidt’s version.) Drinking Buddy by Claudia Schmidt makes perfect sense of the relationship between Tulsa and Mac. While I was learning it, I started to feel that the songs were actually informing and developing the characters in ways that went beyond dialogue, evolving into more back story and subtext than were practical for a small stage. I started thinking maybe I was actually writing a book. And then I quickly glanced over my shoulder, burning with shame at my audacity for even considering the possibility that I could actually write a book. 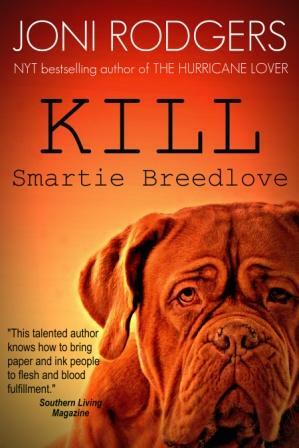 It took another ten years for me to embrace the idea and find time and quiet to do the work; I finished my first novel in isolation, undergoing chemotherapy for non-Hodgkin’s lymphoma. I do not recommend this as a great way to write one’s debut novel, but it worked for me. Originally titled Last Chance Gulch, my debut novel was published by MacMurry & Beck in 1996. Brainstorming titles, my editor, Fred Ramey, suggested Crazy for Trying, and it resonated like a gong. It’s so perfect; I wish I could say I was the one who thought of it. The only downside is occasionally being referred to as Joni (Crazy for Trying) Rodgers — which is probably not completely inaccurate. In the years after Crazy for Trying was originally published, I’d occasionally hear a song that actually opened my eyes to aspects of the story I hadn’t fully thought through as a debut novelist, and I started banking them in a file, thinking I might revisit the book and indie publish a sort of “director’s cut” after it went out of print and I regained the rights, which finally happened in 2008. While I worked through the second edition, two songs in particular kept me grounded in my goal to be true to the original while allowing it to benefit from 20 years of hard-earned wisdom and craft experience: Johnny Cash’s haunting cover of the Nine Inch Nails heart-wrencher Hurt says everything you need to know about the wrung out heart of an aging drug addict. Willie Nelson’s take on Coldplay’s The Scientist brings such a gracefully aged wisdom to that song about the task of loving, and his familiar voice brought me back to where I began. 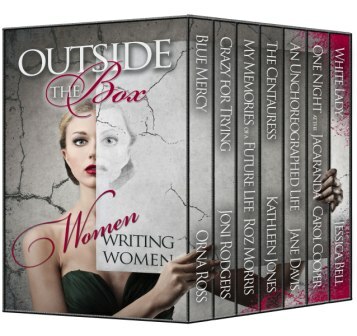 The Crazy for Trying second edition debuted as part of Outside the Box: Women Writing Women, a box set of seven stellar novels featuring extraordinary women characters, and will be released next year in paperback to celebrate the 20th anniversary of the book’s original publication. In addition to her own critically acclaimed novels and memoirs, NYT bestselling author Joni Rodgers has collaborated as ghostwriter/ book doctor on a number of celebrity book projects, including Part Swan, Part Goose with Broadway icon Swoosie Kurtz (Perigee 2014). She lives in Houston, Texas with her husband of 30 years, mechanic/ winemaker/ voracious reader Gary Rodgers. 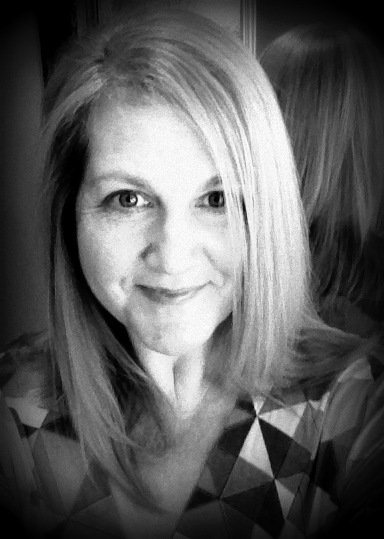 Joni’s books and video book reviews can be found at www.jonirodgers.com. 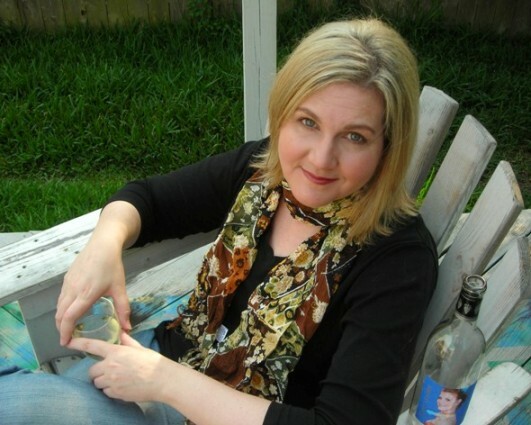 She is the founder of the League of Extraordinary Authors and you can also find her on Twitter @JoniRodgers. LIMITED OFFER Psst… Outside The Box: Women Writing Women is available only until 24 May. 7 full-length novels for £7.99, including My Memories of a Future Life by yours truly. And it vanishes on 24 May. 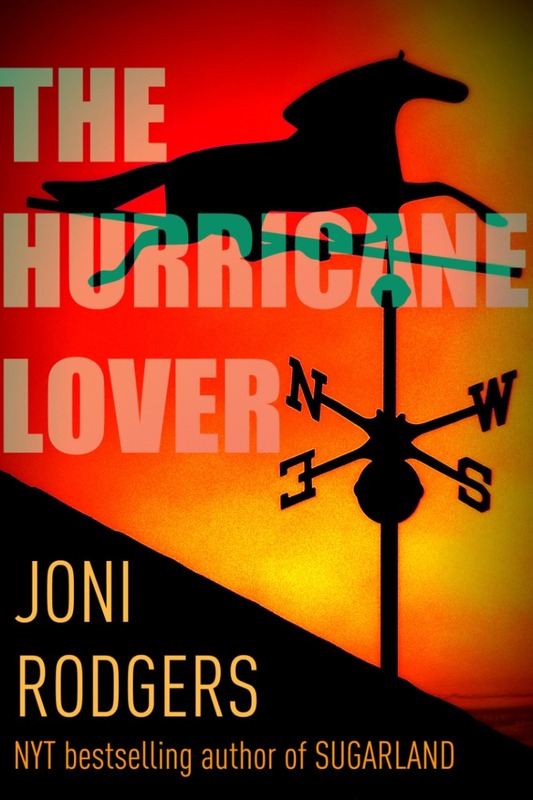 Joni Rodgers was a volunteer with the relief effort after Hurricane Katrina when she had the idea for The Hurricane Lover. The novel came to life over a long, slow period – a whirl of ideas, each falling into place day by day. Very often those insights come in the form of music – for the nature of her characters and for the tumultuous arc of the story itself. Joni Rodgers will be here on Wednesday drumming up a storm with her Undercover Soundtrack.